The next two cards have variant images. Jane Greathouse is a great character and I thought she needed a variant card for her most famous scene from the movie. Like Tom Cruise in the last movie, Jon Bon Jovi gets a small hidden cameo in this movie. The image on this card represents that cameo. 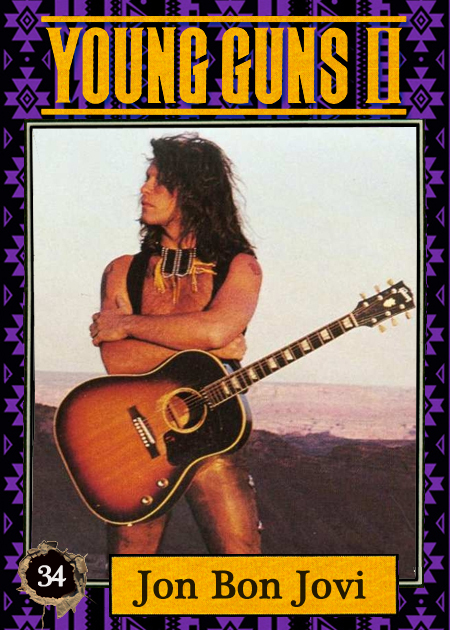 But, I thought he looked more iconic in an image from the Blaze of Glory music video, so that gets a variant card. 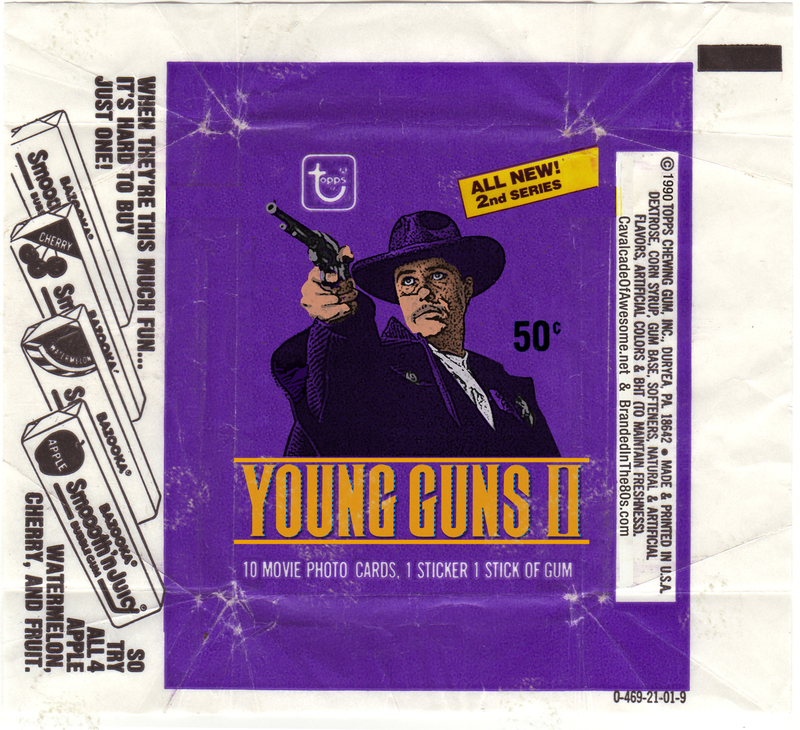 And that’s the Young Guns II vintage card set. And that should cover pretty much everything Shawn and I created for this Young Guns merch extravaganza. Oh, one more variant card I made. From Halloween 1989. 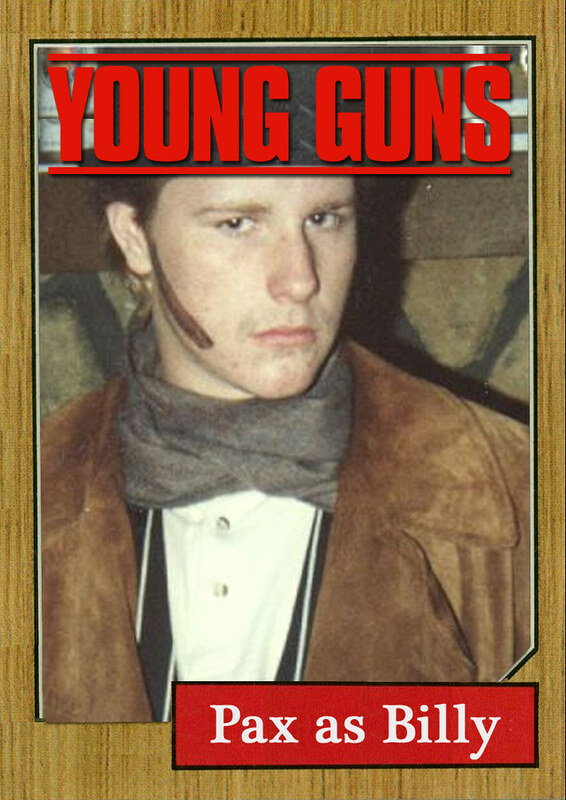 Me as the Young Guns Billy the Kid. This would be my final dress up for Halloween until I got through high school and college. 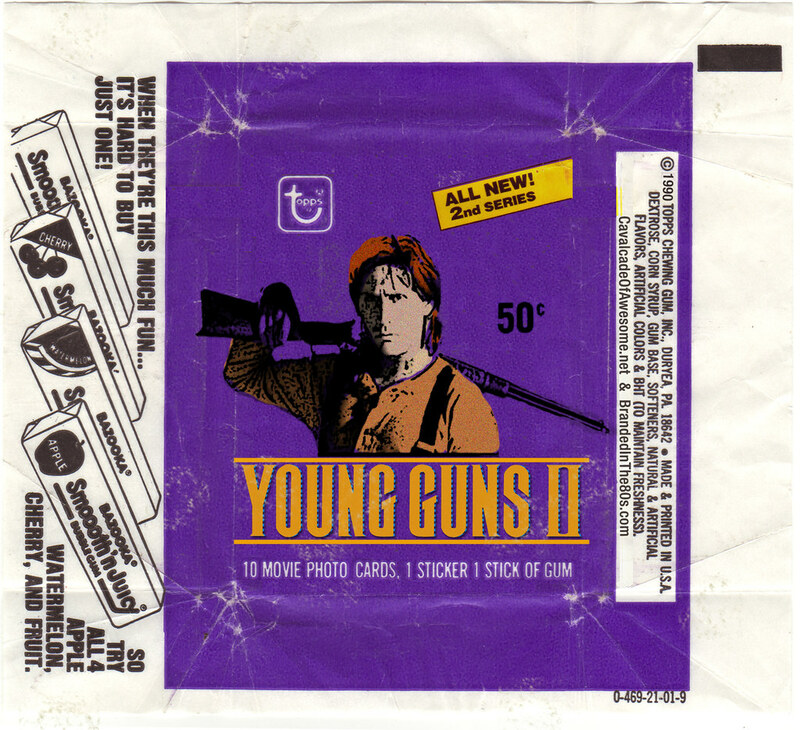 So, like I said, to finish out the Young Guns II, set, head on over to Branded in the 80s. Hope you enjoyed this vintage card set as much as Shawn and I enjoyed making them. And thank you Shawn for letting me join you in creating this awesomeness. 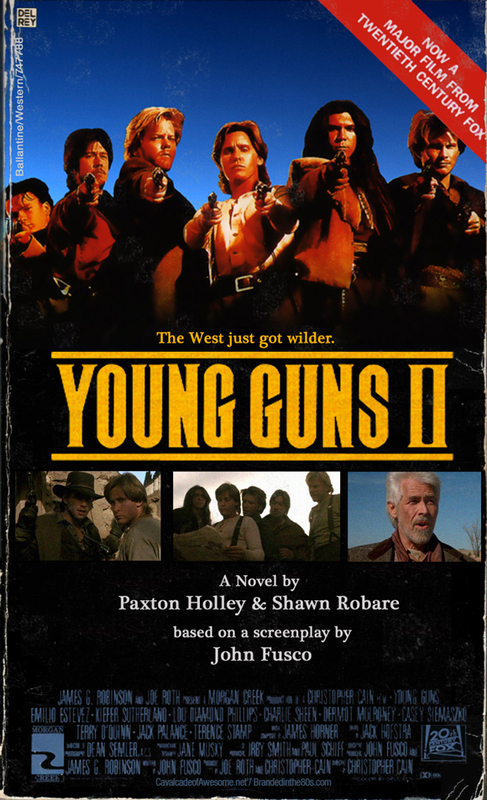 This entry was posted on July 8, 2015 at 9:52 am and is filed under 80s, Billy the Kid, books, movies, nostalgia, pop culture with tags Movie Novelizations, movies, pop culture, Young Guns. You can follow any responses to this entry through the RSS 2.0 feed. You can skip to the end and leave a response. Pinging is currently not allowed.